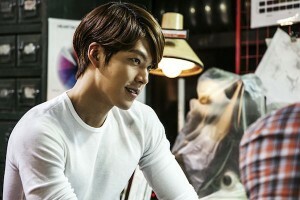 You might be able to see Kim Woo-bin and Lee Hyun-woo in a theater near you! Their crime film The Con Artists (aka The Technicians/기술자들) is going to be shown in theaters in North America (starting January 9), Taiwan, China, Hong Kong, Singapore, and the Philippines (starting January 23). The film is being sent overseas after it took moviegoers by storm during the holiday season; in just a four day period, the film reeled in one million people. Kim Woo-bin (Heirs, School 2013) plays Ji-hyeok, a master counterfeiter and safe-cracker. He is introduced to another skilled hacker, Jong-bae (Lee Hyun-woo, To The Beautiful You), through a mutual friend, Koo-in (Ko Chang-seok, The Huntresses). The three decide to break into a secret vault in a luxury jewelry store. The expensive diamonds in the vault are tempting, but rumors abound that Jong-bae is a backstabber. Little do they know that an even bigger opportunity lies just around the corner. The jewelry store owner they plan to rob, President Jo (Kim Young-chul, Voice of a Murderer), is on the lookout for top-notch criminals. The target? Millions of dollars located in the Korean customs area in Incheon. So if you’re in the mood for a slick action movie, keep your eyes open for The Con Artists. Check out the trailer below!